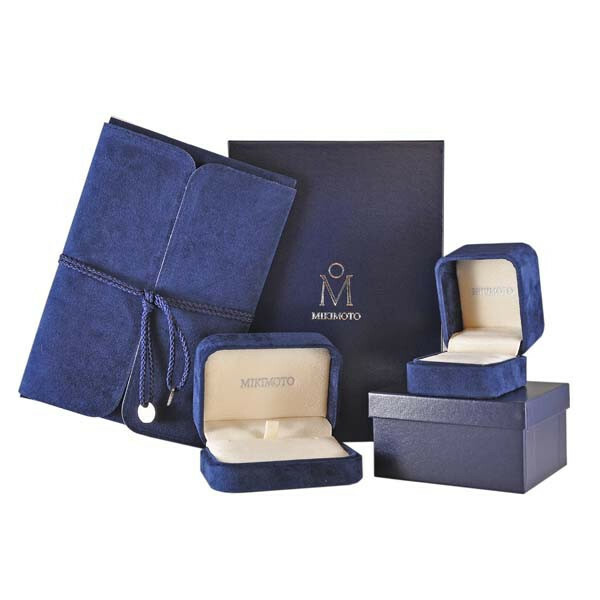 These ultra-chic diamond and pearl earrings are from Mikimoto. Each earring is crafted in 18kt white gold with multiple squares and a circle forming an abstract line that leads to a beautiful Akoya pearl. Each geometric shape cradles a diamond. 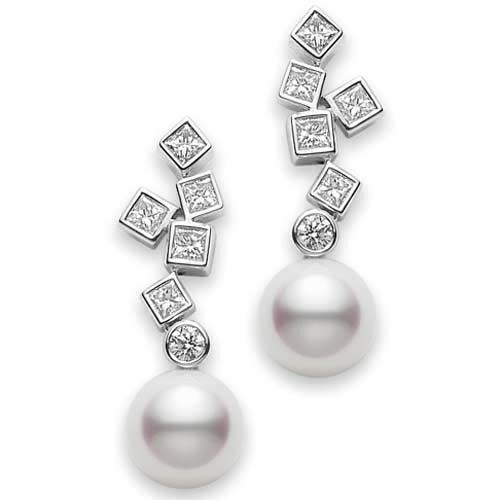 These Mikimoto earrings have a definite flair!